How Bob and Jay came to be! 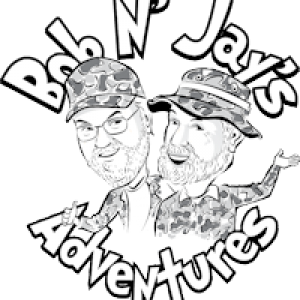 Bob and Jay, Huntin’ Buddies, began their joint hunting experiences when Jay, the owner of Buffalo Mountain Ranch in Texas, reached out to Bob, owner of BowhuntingInfo.com from Michigan for help with a rogue Bison Bull on his ranch. Bob was able to help with a crazy hunter willing to get close enough to shoot that bull with a stick and a string. After that auspicious meeting Bob and Jay hit it right off. Jay, not really knowing Bob, made the mistake of inviting Bob on an Elk hunt which took Bob probably all of three seconds to accept. Jay hasn’t yet figured out how to dis-invite Bob, so he is forced to endure nearly endless days each year in Bob’s presence. About the only redeeming factor about Bob was that he introduced Jay to Pat McManus’s stories. Well, the rest is history, as they say. Jay and Bob have written over 27 short stories about some of their escapades. These encompass trips into the wilds of northern Canada, the mountains of the great Rocky Mountains, and into the cactus strewn land of Texas. 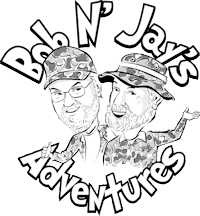 Bob and Jay say that the things they write about could not be made up – they just happen. And every hunter has had experiences that might seem a bit familiar. So step on in, take a gander at one of our stories and let us know what you think. Look for our first book, The Proper Care and Feeding of a Huntin’ Buddy, now available at Amazon and books stores everywhere. 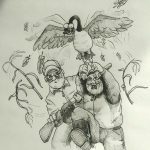 Here is a selection of some of our escapades that are included in our first book. 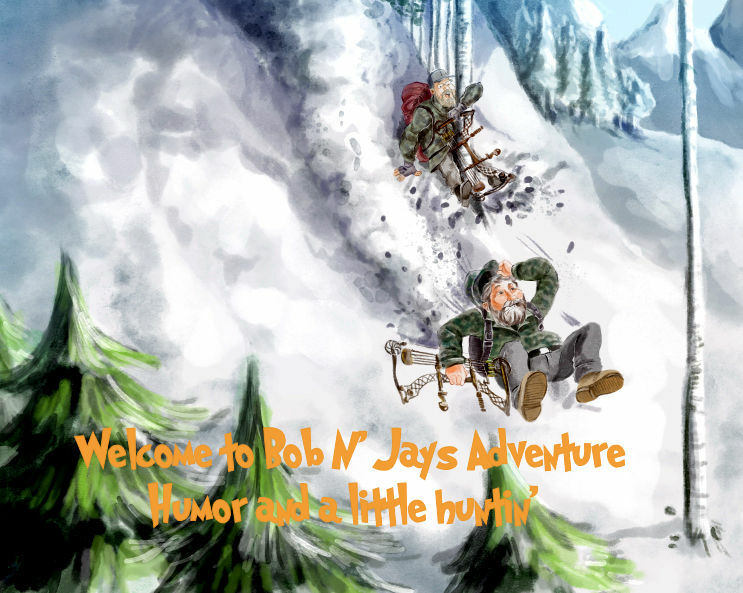 Our first book of Bob N’ Jays Adventures has been published. You can order directly from Amazon from this link: https://www.amazon.com/dp/1945812397. The book will also be available through all the normal book outlets, and soon digitally as well. It is available in hardcover, paperback and digital. Laughter is the best medicine for anything that ails you. We have laughed at our exploits as they happened. We hope you will laugh at them as we relate them to you! Click on the cover art below to see a description of the book. This is fantastic. I love the humor and your personality shows through. Even though I know close to nothing, no - make that nothing about hunting, I enjoyed reading the story. Let me know when your book comes out. I'll get myself a copy. LOVE it!!! I was worried for the first several pages but boy was it worth sticking with it -- absolutely hilarious! I assume this is going to be part of a collection of short stories? Keep with it! Although I haven't hunted in many years, I considered myself quite the nimrod in my youth. I too had a hunting buddy with whom I endured many humorous adventures. This book brought back so many laughable memories. Thank you Bob n Jay! My only complaint was that it was way to short. Hope there's more to come! I'm usually pretty skeptical about books that are supposed to be funny, but man - I laughed out loud through most of this book! 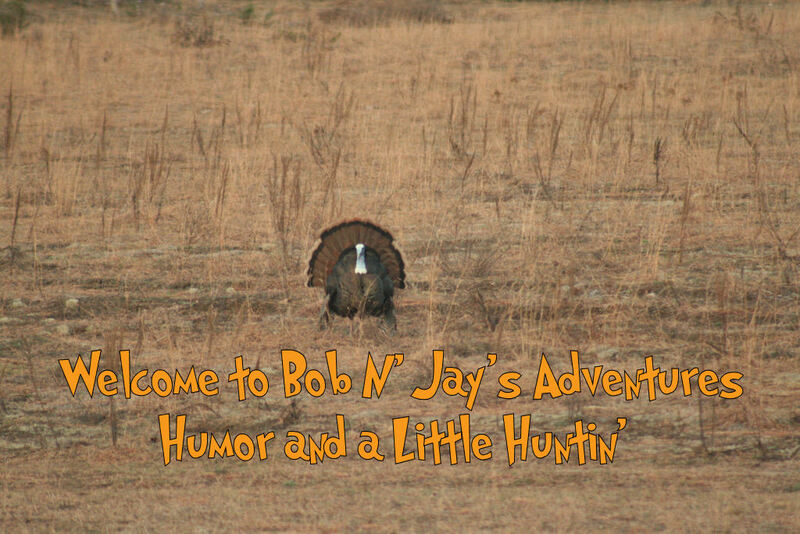 Both Jay and Bob, huntin' buddies, each tell stories from their unique points of view, worded in such a way that they were only trying to be a good huntin' buddy, but somehow these crazy things just happened! This is an awesome read whether or not you hunt/fish, and would make a great gift to anyone who appreciates clever humor. Check it out! Such a great book! The humor is fantastic, but what I love most is the deep friendship between Bob and Jay. Anyone can relate to that, whether or not you hunt. 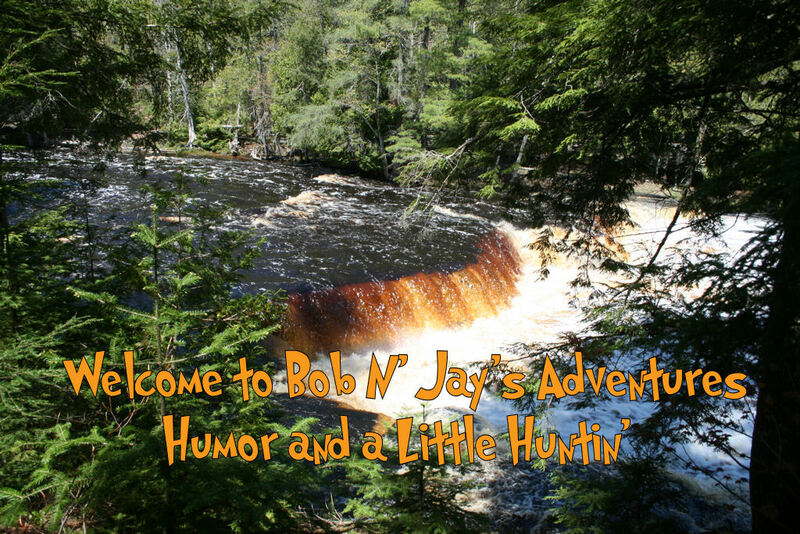 Written from the perspective of those who have a love of the outdoors and each other this book explores the chaos and humor that sits below the surface of every trip outdoorsman make. Finally someone puts into words the truth that could never be made up in vivid word pictures in which our mind and hearts revel. Got a copy for my dad’s birthday, decided to give it a ready myself. You know you’re in for a good time when the title of the first chapter makes you burst out in laughter. 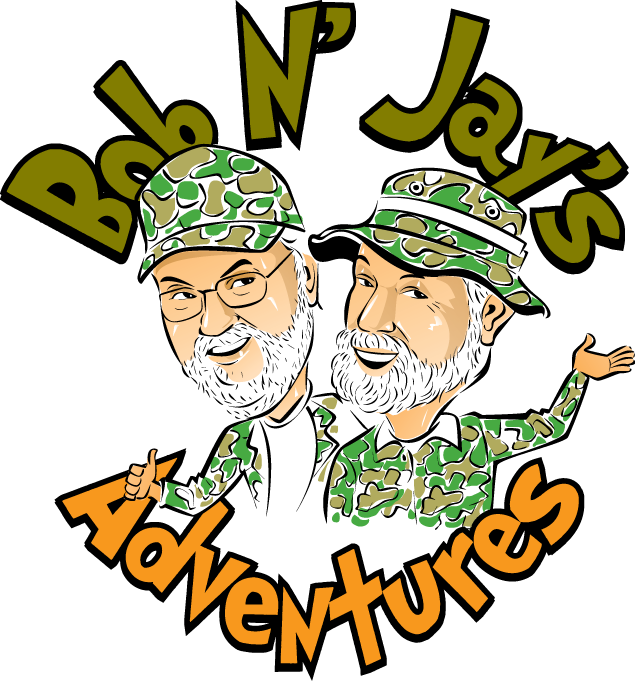 I love the outdoors, and I love Bob and Jay! Good huntin’, and good huntin’ buddies! First Book to be Published Soon! © 2015 BobNJay LLC. All Rights Reserved.